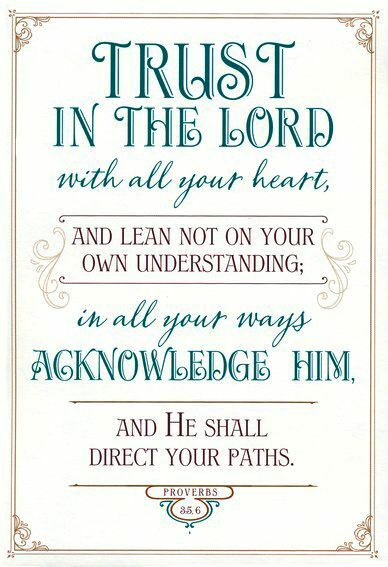 For the years of our first season of infertility, this verse was posted throughout my house. It was on my fridge, above my sink, and next to my vanity. I read it when I woke and throughout my day — it stood as a call to remember the truth, and not allow my heart to swim in fear and worry about the future. To every woman walking through this struggle, the question about the future always hangs like a cloud over her head. How is this going to end? What will happen? Will we ever get a baby? Will this ever be over? This verse bursts that bubble of mystery. Of course I cannot tell you exactly the details of how your particular story will end, but there is one thing you can know for sure: This will end with bread and not a stone. He is the Good Father. Better than your own, and better than any parent you can think of or dream of being. You are begging Him for bread now, and He will not disappoint you. I urge you to cling to that truth above all in these days – whatever the exact outcome will be, it will be bread. This passage makes this newly classic song all the sweeter to me, so I’d like to share it with you today to listen to anew. This has been me at times. I have laid in my bed after starting one more period (or even just on a normal day) and thought, “Lord, I do not have a single ounce of strength left for this.” I have, at times, begged Him to remove from my heart the desire to have children. I’ve wondered if He might just make us decidedly infertile through some tragic event, so we could know for sure we will never get pregnant again (shoot us out of our misery, if you will). I have found the thought of one more day or month to be truly agonizing, let alone the thought of a lifetime without getting pregnant or knowing if I will. Did you hear those words? To those who have no might He increases strength. This is very different to me than the (equally inspired, equally important, equally truth-filled) verses that call us to strengthen ourselves (“Be strong…”). This is the verse to the woman at the absolute end of her rope. When you have no power left to do this one more time (one more day, one more cycle, one more year, one more whatever) — He meets you there with strength. I beg you to be empowered (literally!) by this hope-filled truth today. 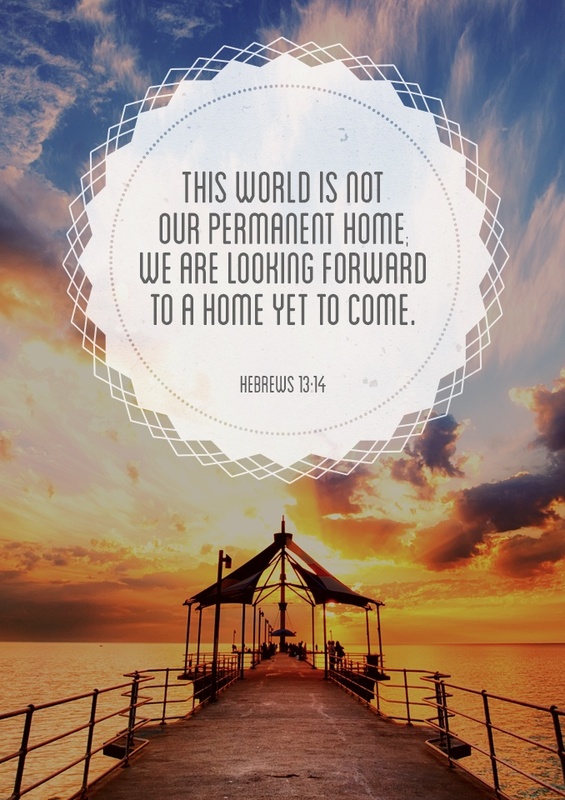 It’s only appropriate to end this post by sharing the full context of this comforting verse. I encourage you to read Isaiah 40 when you have a quiet moment today, and soak your heart in this great truth about the Strong One who has enough strength for everyone. Well my infertile friends, here I am again. I keep writing and re-writing these first few lines. How personal should I get? Who even cares? But when I read blogs and things like this, knowing a little of where those words are coming from means a lot to me. This is a more personal post than usual, but I’ll keep it brief and as vague as possible. After a while of trying for baby #3, I had an ectopic pregnancy a couple months ago. It came out of no where. It ended in surgery and I lost my tube. It was a bit overwhelming. God was unimaginably faithful. And now, we wait again. We have been reliving so many of the same lessons we walked through years back as we waited for our first child. Will we ever get pregnant? Is this it? What is God doing? What story is He writing for our family? A God-given yearning for a baby that often overwhelms and surprises me. Where did this feeling come from? Why did He give it, if He might not meet it? So many possible fears and unknowns. Two weeks to the day after my surgery some of our closest friends told us they’re expecting. We’re thrilled for them, for sure, but it was those same conflicting feelings all over again. Will that ever be us? Do they know this is painful? Back then hearing about “secondary infertility” often made me roll my eyes. You already have kids, I would think. This is not the same. And it’s true, it’s not the same. I have full arms and a full home with two sweet little boys. I have seen the Lord faithfully meet my deep longing to be a mother, in some really incredible ways. Stories we get to retell over and over of miracles and mercy. I will not tell you it’s the same at all. Elisabeth Elliot taught me this verse. She has several key verses, I guess you could call them life verses of hers, that are frequently repeated throughout her writing, and this is one of them. One of her strongest points of teaching, which has dramatically impacted my heart and life, is about cultivating a “quiet heart” that rests in the Lord regarding all things. I’ve been fascinated and challenged by the various areas of life she applies this to. For our purposes, this verse is again perfect. The answer to those questions that inevitably flood the mind of anyone struggling to have a family. Why is this happening to us? Why does this have to be our problem? Why us and not them? Why can’t we just be normal? How are we going to get through this? What will we do next? Oh Lord, You have assigned me my portion and my cup. In You my lot is secure. While this blog has often talked of the need to seize these days in a spiritual sense, we would be remiss if we didn’t also consider how to use these unexpectedly free hours in a practical sense. I’d like to make some suggestions to pray about as you (and your spouse!) ask yourselves: How can we best use this time? Invest in the children and families already in your life. It takes a lot of maturity to look past the desire for your own children and look more widely at those God has already put in your life. Perhaps you might consider investing more fully in nieces and nephews, younger siblings, kids of church friends or neighbors, etc. Besides the personal benefits of gaining more experience with kids, you’ll be using time you have now (that you likely won’t have as much of later) to bless others. You may even find a way to relieve some of the burden of loving your own children. How can you do this? Babysit – I know, it’s not usually a fun thing! It will be sanctifying to you and a blessing to others. Consider it an investment in the marriage of another — you and your husband likely have regular date nights, don’t you think your neighbors would love one, too? Be involved – Go to sports games and recitals, hand-pick personal birthday gifts, and spend time getting to know these kids a little more. Parents really appreciate someone who shows genuine care for their kids (and kids do, too!). Love a mom – Moms need a ton of support. Moms of very young kids are especially in need of an extra hand. Look around at the moms in your life or consider asking your Pastor or his wife if they know a young mom who might need a little help. This might be tagging along on a shopping trip to reign in runaway kids, helping fold laundry while she’s cleaning the bathroom, or just coming over for a visit to give her some adult conversation every now and then. Grow in knowledge. Take the time and money you have and learn a new skill or develop ones you already have. Maybe you’ll want to take a course or higher a tutor, or maybe you’ll want to buy some extra materials or just spend more time practicing. It could be years before you’re free to invest in yourself again. Grow spiritually. This is the main focus of this blog, but it’s worth reminding you, oh reader, that the Lord is shouting to you in your pain (to paraphrase CS Lewis). Use your freedom (however unwelcome it may be) to memorize scripture, grow your prayer list, read more theology, and take some classes at church. One day you may be thirsting for the chance! The Bible speaks so much of investing in things that cannot be destroyed — no matter what your future holds, you’ll never regret investing in your soul. Invest in your marriage. Someday it may seem impossible to work in a date night for months or years. It may be all you can do to say “hey” to your spouse in between a morning feeding and eventually crawling into bed at night. Consider using your days now to build an even stronger foundation for your relationship. Look into a marriage retreat or conference (I recommend this one), read some books together or by yourself (here’s a good list), take up a hobby together or start taking date night more seriously. Your future kids will definitely thank you for having a strong marriage! Focus more on your work. When I say “focus on work,” I don’t mean become obsessed with work, distract yourself with overtime, or make your career your idol. But if you’re in a job, why not do it with excellence? Do your duties to the fullest. Improve your credentials or position. Consider making changes if you’re in something you were hoping to leave by now (I know this can be hard to face — like admitting defeat — but I’d encourage you to to see it as good stewardship of your hours and energy). Serve your church. Look into more ways you can be blessing your church with your time and energy. It may be teaching a class or serving behind the scenes, or signing up for one-time events. Talk to your pastor or other leaders to explore options you may not even know about. Consider missions work. Your church or a para-church organization (like this one or this one) may have some short-term (from weeks, to months, to even a year or two) opportunities that are a good fit for you. Investing your time in the global cause for the gospel is priceless. Consider being a foster parent. Even if you aren’t sure adoption is in your future, if your heart is to love and parent children, there’s no reason you can’t start now. There are thousands of children in the foster system today who would benefit from even a temporary stay with a loving family. Every state has a different process for this, usually requiring some informational classes and parenting classes, and an application and interview process. You can google your state or go here for more info. Prepare for parenthood. I hesitate to mention this because I personally don’t feel the best way to use infertile months is to obsess over having kids. It’s for you to choose healthy boundaries. You can certainly gauge which investments of time and money might be regrettable in the future. If there’s a chance you’ll be a parent one day, it might be wise to think ahead. Does your church offer a parenting class? Have you heard any book recommendations from friends? This is Part 2 of a series on Decision Making in God’s Will. I invite you to visit Part 1 first! We left off on praying for God to open and close doors within a certain time. I prefer to use this wording rather than looking for special “signs” from Him… this isn’t a game of chance or a dealing of tarot cards. It’s a walk on path led by the Spirit. A journey. So, how does God open and close these doors? Sometimes it’s just through our “gut” — which I’d say is really the Holy Spirit. Some great advice I’ve always held on to is when a friend once told me to “justfollow the peace” — if you just don’t have peace about a decision, you may want to consider if that is the Spirit holding you back. It likely is. In the months leading up to when we finally got pregnant, we had been praying earnestly in this way — Should we do a different treatment? Should we pursue adoption? More invasive testing? Just keep waiting? While some doors were obviously closed, the biggest factor for both of us was the peace. We both still remember fondly just a week before that BFP, sitting in our living room one night at the end of our period of prayer, and sharing that neither of us felt peace with anything but continuing to wait on the Lord. Closed doors for other options, scripture given in that time, and just leading of the Spirit had led us to that painful but peaceful point. You can also expect Him to lead you through actual events — when we started seriously praying about adoption, agency after agency turned down our initial inquiries because we live overseas. It was clear to us at that time that God was closing the doors and leading another way. On the other hand, when we first went for infertility treatments and were feeling unsure of the decision, a dozen “random” things happened that we saw as God’s confirmation that we were making the right choice — the nurse giving us all of our meds for free, the clinic offering us a huge discount because of our financial situation, and a friend handing us an envelope with a huge chunk of cash to use in any way we needed (these are all financial, but that’s not always the case). Even after the treatment failed, we had confidence and not regret, because we had sought the Lord and He had guided. We also always pray to be united in our leading. The Lord has always been faithful to answer this request as well — even if we started off being staunchly opposed to each other’s leaning. And if it comes time to make a decision and we still aren’t in agreement, we will either decide to keep waiting (if time allows), or I will defer to my husband’s leadership as the head of our home. So yes, I always have one extra thing to pray about — that when the time comes God will guide my husband well, and I will have a submissive heart if I have to. And my husband always has the burden of the responsibility of the final decision (which honestly sounds harder to me than my burden of just submitting to his decision). Finally — we make a decision. This sounds like an obvious “step,” but for indecisive people, it can be terrifying. However, if you did what you could to seek the Lord’s leading, have an open heart, and make godly choices (perhaps by following my advice above), you can have the peace to make a decision without worry or regret. We make a decision and move forward confidently, trusting the Lord together and never blaming ourselves or each other if it doesn’t go how we expected. If we made the choice believing it was what God wanted, then we can trust that it is what God wanted when it doesn’t go well by our estimation. So that’s how we face decisions in our home. I’d love to know if you have anything to add (or subtract!). I’ve been thinking about writing this post for some time, but I always hesitate because I’m not sure how it’ll come across. I don’t want it to sound like we have it all figured out, because we definitely don’t. However, I recall feeling like the “trying to conceive” game was a lot of one decision after another. (I guess life is, really.) Actually, it seems in our first several years of marriage and adult life, my husband and I have already had a lot of major (and minor) decisions to overcome. That being said, with a lot of prayer and discernment, we’ve sort of arrived at a system for making decisions. I think this is important because there are a lot of considerations the Christian faces when making decisions, particularly in this arena. For one, I have to say it would be a dire error for a Christian couple to tackle infertility merely by following the medical protocol point-blank. If all of your decisions so far and to come are made solely based on the fact that your doctor says that’s what’s next, you may want to reconsider how open you’re being to the will of God. That sounds judgey, I know… but let’s just agree for the rest of this post that I’m not trying to be judgey, because there’s basically no way to write it without sounding that way. Likewise, the longer we’ve walked this journey the more convinced I am that there is not one set best route for everyone — except for the route that continually and sincerely seeks the Lord’s will and chooses against sin. A major part of God’s leading in our life involved foregoing or delaying medical intervention and waiting on Him. This was a big deal for us and a big work He did in our hearts. However, I wouldn’t say this is the ultimate right path for all Christians facing infertility. And I wouldn’t say following the set medical protocol is the definite wrong path for everyone. I would say you need to be sincerely seeking the Lord’s will for you — being willing to stop or go as you feel He is leading, even if it differs from what you want. How do you do this? How do you make a decision you feel confident is God’s will when, say, you have a few days in between a failed IUI and the next cycle, and need to decide if you’re going to do another one or not? Or when you reach the one-year point of trying to conceive and are totally distressed but don’t want to (and shouldn’t!) make a decision based solely on that? I don’t have all the answers to this, but I can tell you what we do (and you call tell me what you think!). First, we always pray. We pray sincerely, constantly, and openly. We talk to the Lord about our situation, feelings, hopes, and our options. We confess our unconfessed sins in order to have hearts ready to be spoken to by the Spirit. Second, we talk to wise people. The Bible speaks so highly of consulting with others and seeking wisdom. We would be fools to think we can face a new situation and succeed without any help from people God has given as resources. Depending on the situation, this could include church leaders, parents, trusted Christian friends, and/or people who have been in a similar situation. This doesn’t mean we do whatever they say. We simply allow the Lord to speak to us through their experience and advice, and factor it into our decision. Additionally, we ask others to pray for and with us. We would ask many of the people listed above to be praying with us for wisdom in making a decision. Trusting them to be wise and godly, we’d be open to any leading they may feel from God as well. We give it time. Obviously, every situation allows for its own amount of time. When deciding whether to move overseas, you may have months or years. When deciding whether to implant an extra embryo, you have a day or two, tops. I must add, we would never make a decision based solely on short time — we did delay our first fertility treatment, for example, because we didn’t feel sure by the time we had to decide. Being rushed doesn’t seem like it should be considered direction from God; it falls more into the category of emotions and fears. That being said, we’ll agree on what feels like a reasonable amount of time to keep praying and thinking about it. During this time we keep open hearts and minds, being sensitive to how God may be leading us. We choose a time to decide. So this is the “step” that is most specific to our little “system.”We think it’s wise, and it’s best for indecisive people like us who struggle to be confident with our decisions. But it’s not exactly taken from any Bible passage or command. 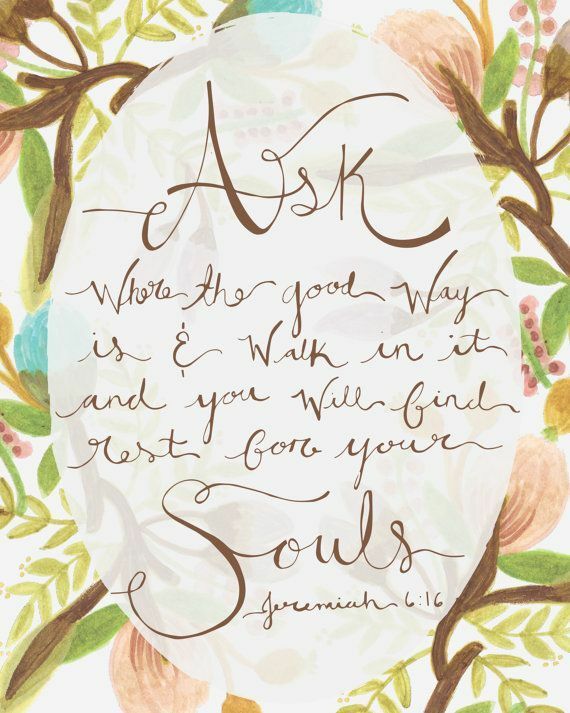 It’s just a way we feel comfortable seeking guidance from the Lord. After, for instance, a few days of initial prayer and thought, we will agree together on a time that seems right to make a decision. Oftentimes, we have also agreed on the decision we will make by that time, unless the Lord leads otherwise. Then during the period in between, we will be praying and seeking any direction God is giving — we will be sensitive to the Spirit and honest with what we think He’s telling us. What this sounds like is: we may approach the Lord and say something like, Lord, unless you lead us otherwise, we will be signing the lease for this house on the first of next month. In between now and then, we ask that you will be giving us confidence in this decision or closing the door. For us, this is the best way not to be frozen in decision making (which is often a decision in itself), while sincerely staying open to God’s will and leading. And can I tell you something? The reason I’m writing about this is that God has always been faithful to answer this prayer. I could write for you story after story of times in our life — and even just in our infertility — when we approached God in this way, and He closed or opened doors to give us confidence in our decision. …To be continued! In Part 2 of this post, I’ll attempt to answer the question of how God opens and closes doors. I’ll also share one of the most significant things we pray for, and the most important step in decision making. This was reposted from October 2014.